The wheel itself comes in a variety of shapes. 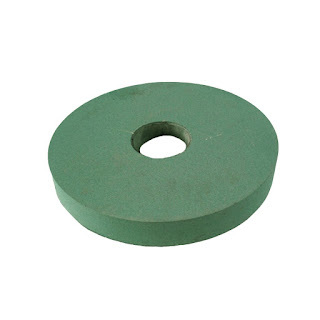 The product typically pictured when one thinks of a grinding wheel is the straight wheel. The grinding face—the part of the wheel that addresses the work—is on the periphery of a straight wheel. A common variation of the straight wheel design is the recessed wheel, so called because the center of the wheel is recessed to allow it to fit on a machine spindle flange assembly. On some wheels, the cutting face is on the side of the wheel. These wheels are usually named for their distinctive shapes, as in cylinder wheels, cup wheels and dish wheels. 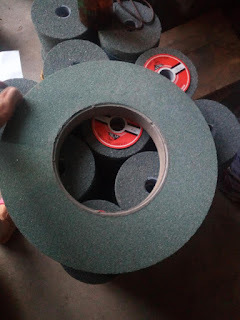 Sometimes bonded abrasive sections of various shapes are assembled to form a continuous or intermittent side grinding wheel. These products are called segments. Wheels with cutting faces on their sides are often used to grind the teeth of cutting tools and other hard-to-reach surfaces. 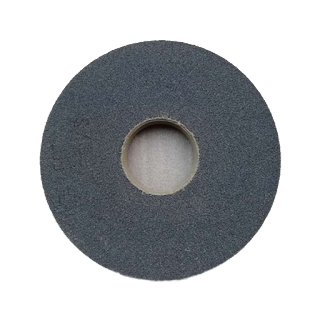 Mounted wheels are small grinding wheels with special shapes, such as cones or plugs, that are permanently mounted on a steel mandrel. They are used for a variety of off-hand and precision internal grinding jobs.